you know I love my weeknight dinners [ahem, easy to prepare]... I've been spiralizing zucchini pasta a whole lot lately, but we had some beef in the fridge and I remembered these empanadas could be made in less than 15 minutes total. plus it's nice to cook something southwestern other than tacos every once in a while. 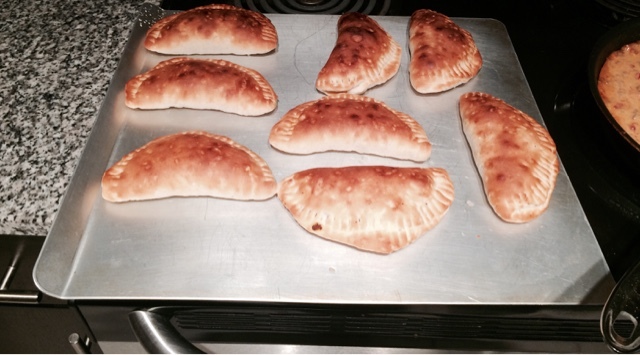 my mom made these yummy empanadas while we were growing up and they've stuck with me over the years because the recipe is so simple. 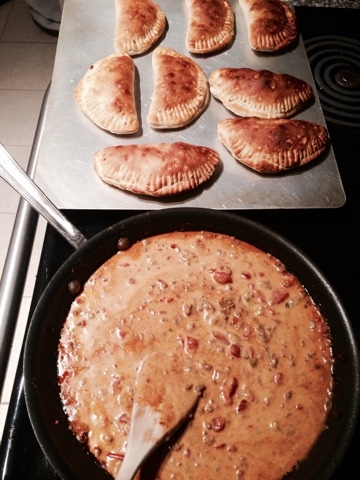 these empanadas would also make a great group meal, the recipe could easily be doubled to feed six people. I'm happy with one serving given that it feeds both stephen and me plus provides lunch leftovers for both of us. what more can you ask for in a weeknight dinner at home? add a side of rice and beans if you want (margarita, optional) and voila, dinner is served. 1. in a skillet, cook the ground beef until brown and crumbly. drain the grease, add 1/4 c. water and taco seasoning. 2. meanwhile, use your hands to flatten each biscuit on a baking sheet (see above photo). 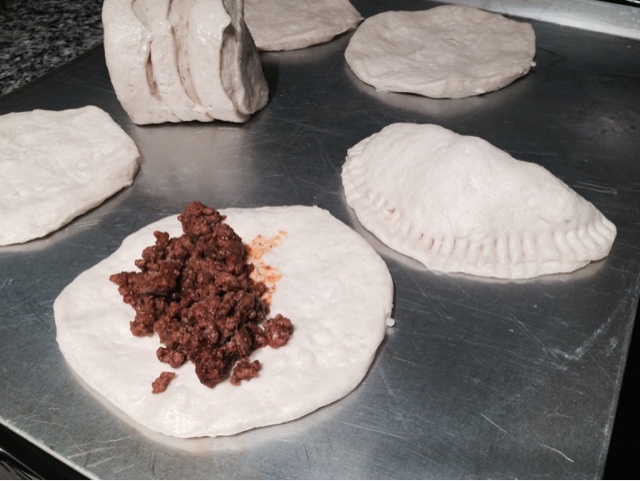 it's okay to flatten a few and wait to flatten the remainder once you start filling them, all empanadas will fit on one baking sheet. 3. spoon about 2 T. of meat into the center of each biscuit. stuff and fold over each biscuit one by one - seal the edges with the tines of a fork. bake at 450 degrees for about 7 minutes. 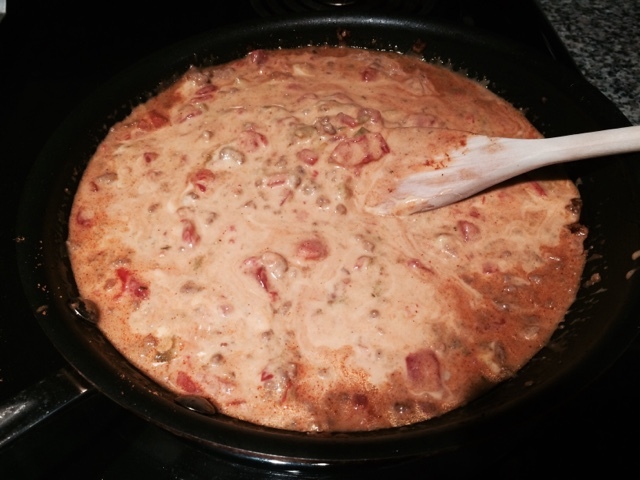 save remaining meat for queso sauce. 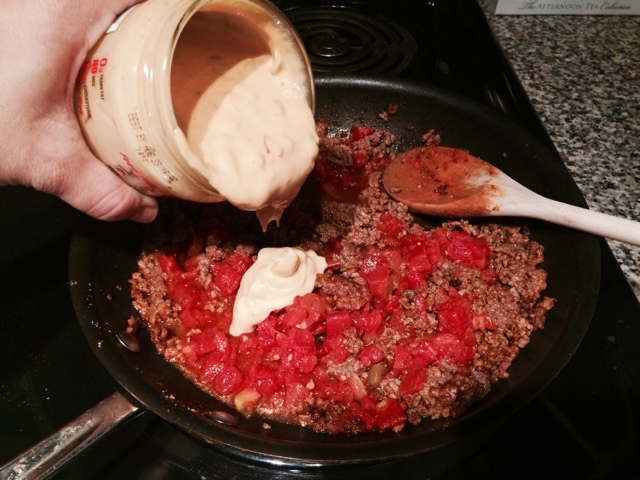 4. meanwhile, add the tomatoes with their juice and the jar of queso to the remaining meat mixture in the skillet. heat on low to medium while empanadas cook. 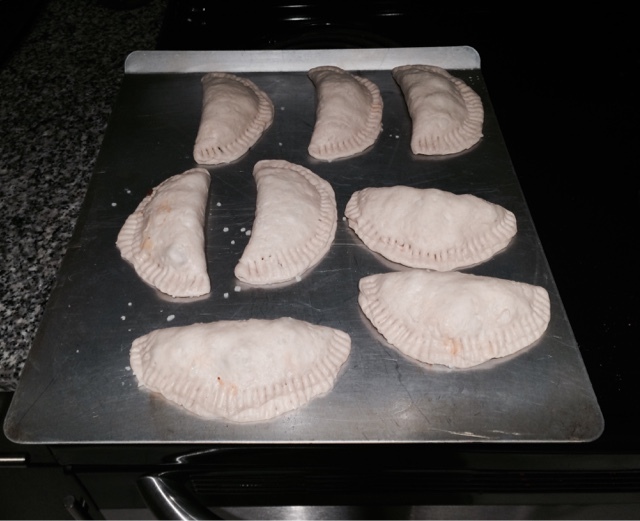 5. remove empanadas from oven and transfer to plate. 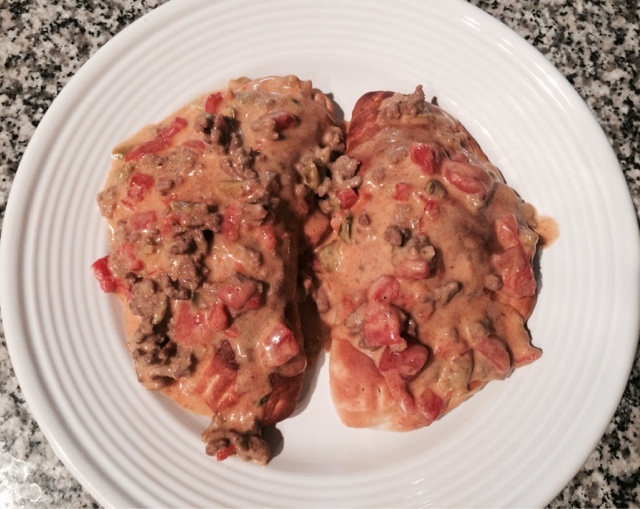 top each empanada with queso sauce upon serving. these can also be easily refrigerated and reheated for later. enjoy! I am literally drooling right now. These look so good! xoxo.